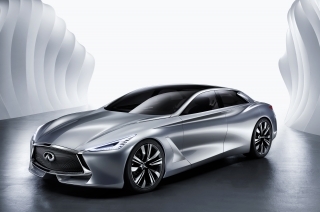 New form language for electrification, based on the principles of modern Japanese design and architecture. 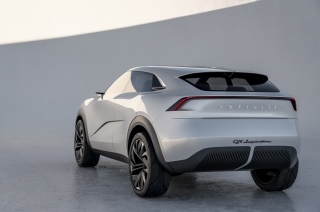 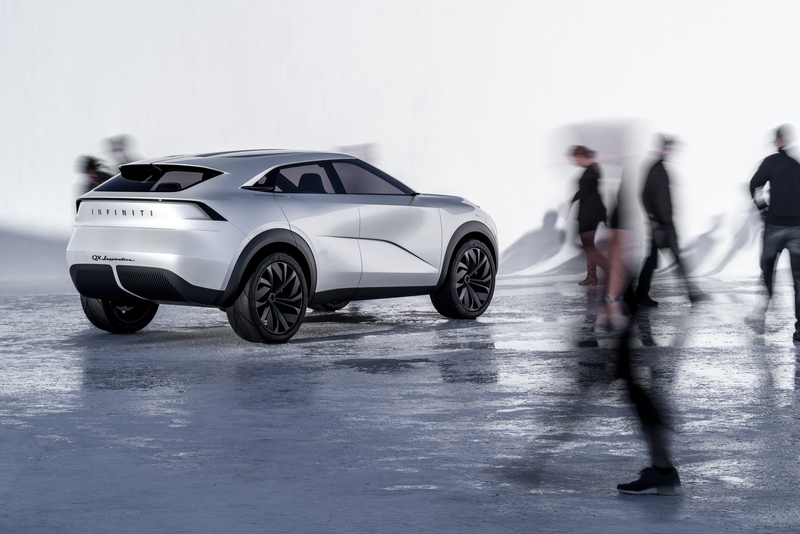 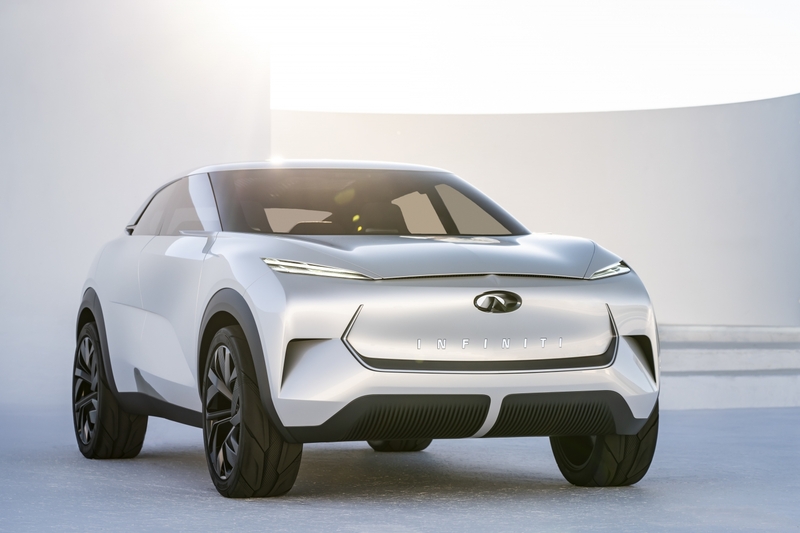 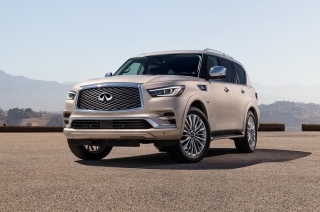 The QX Inspiration concept uses technologies to create a welcoming environment – one that assists drivers and connects occupants. 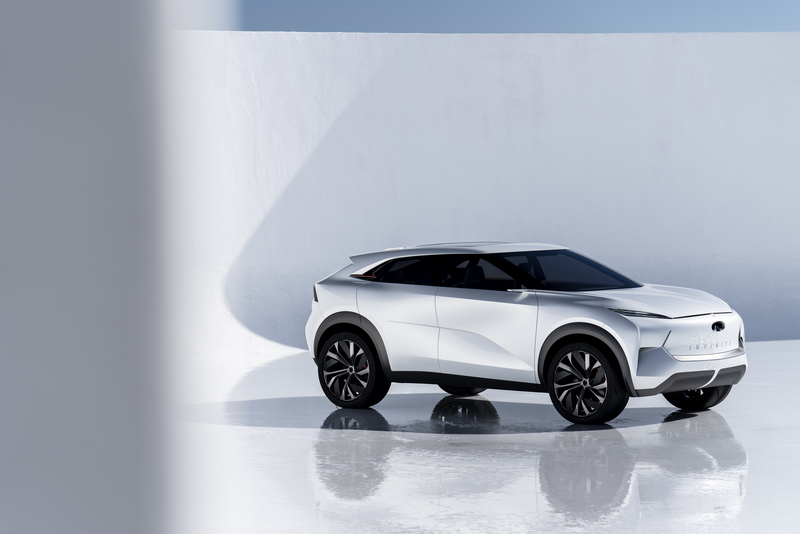 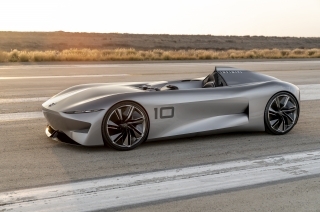 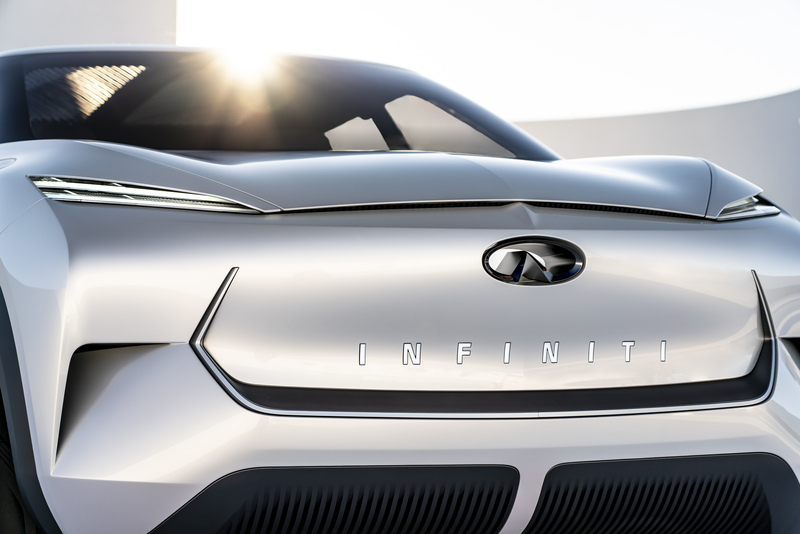 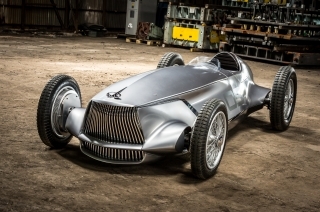 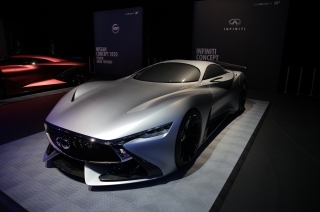 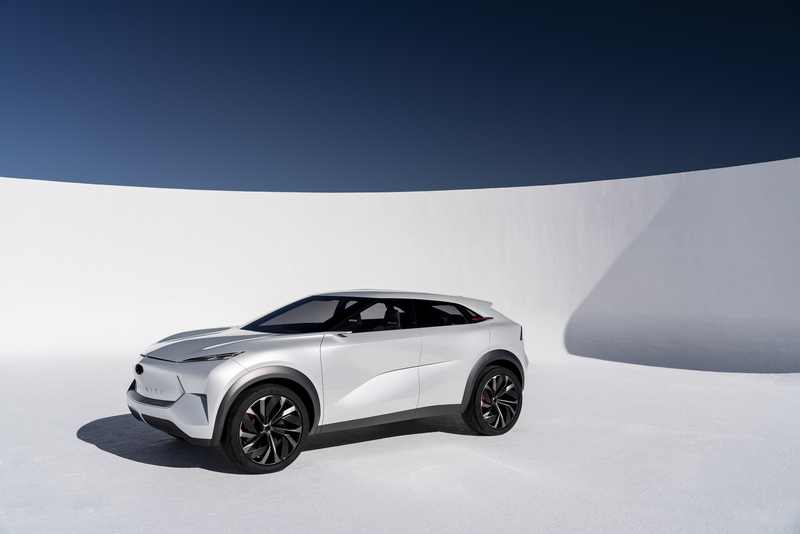 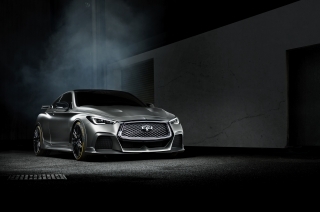 INFINITI’s designers were influenced by the entirely natural coalescence of technology, hospitality and warm minimalism that is unique to Japan. They focused on developing a car which seamlessly and intuitively ‘enables’ occupants, both through the application of its technologies and by creating a comfortable, relaxing and natural atmosphere. 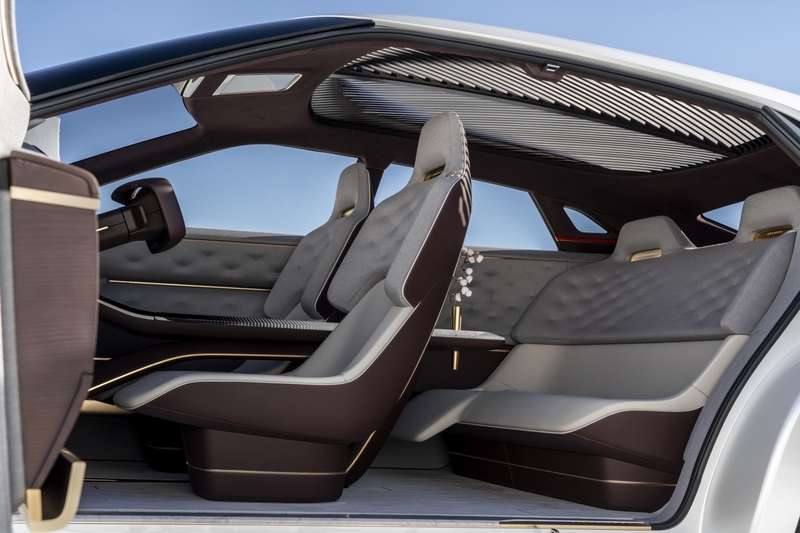 Following the principle of ‘omotenashi’, the notion of Japanese hospitality, the interior draws occupants in from the moment the doors open. 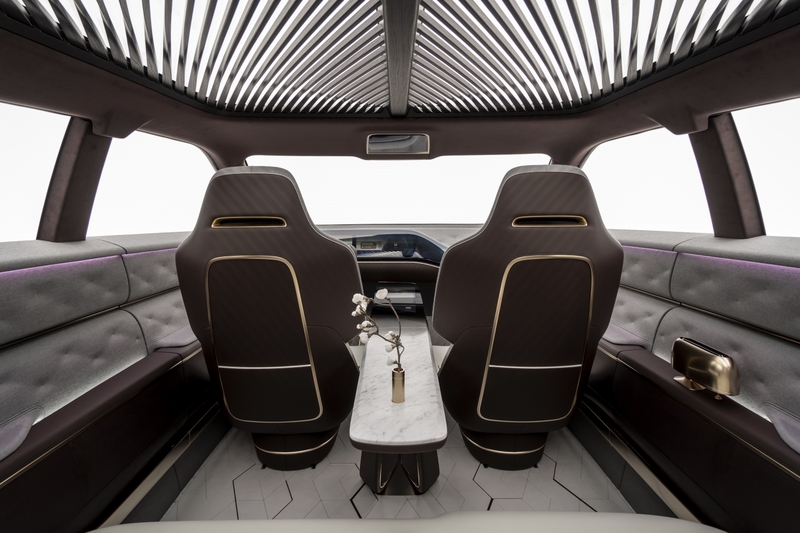 Illuminations in the base of the coach doors cast a subtle light over the ground, echoing the same thin line pattern found throughout the car, rolling out an inviting ‘carpet’ of light. The front seats rotate 30 degrees outwards, making for easier ingress and egress. The proliferation of displays – including in the center of the ‘widescreen’ rectangular steering wheel – gives the driver easy access to important information. 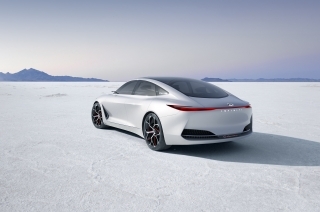 There are digital displays linked to the rear-facing door-mounted cameras, as well as to navigation and traffic systems and vehicle diagnostics. 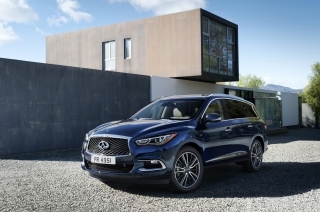 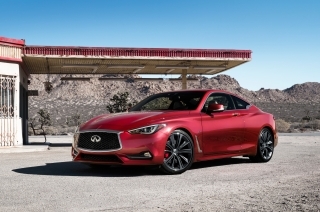 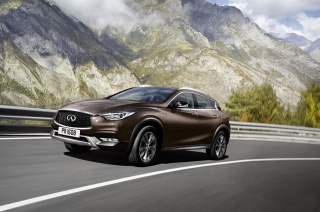 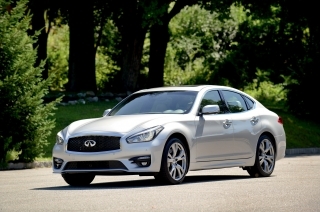 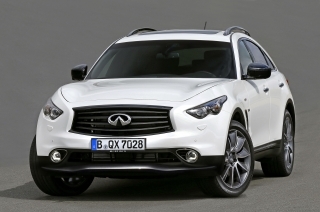 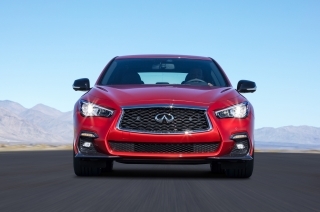 INFINITI has harnessed its autonomous drive technologies to further enhance the lounge-like atmosphere of the cabin. 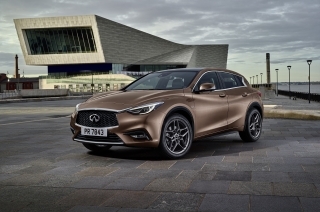 The steering wheel, pedals and driver displays maintain the all-important connection to driving – a feature which will remain common to all INFINITI vehicles for the foreseeable future. 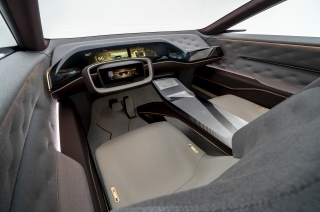 Yet, hinting at the full range of autonomous drive technologies that may one day be available, the steering wheel collapses into the dashboard and the pedals retract into the floor, releasing even more space should the driver wish to hand control over to the vehicle. 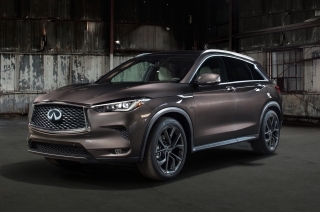 By contrast, the rear of the cabin is devoid of all technology, save for the QX Inspiration’s lighting, a deliberate move by INFINITI’s designers to create a relaxing, screen-free space where occupants can sit back and watch the world go by.